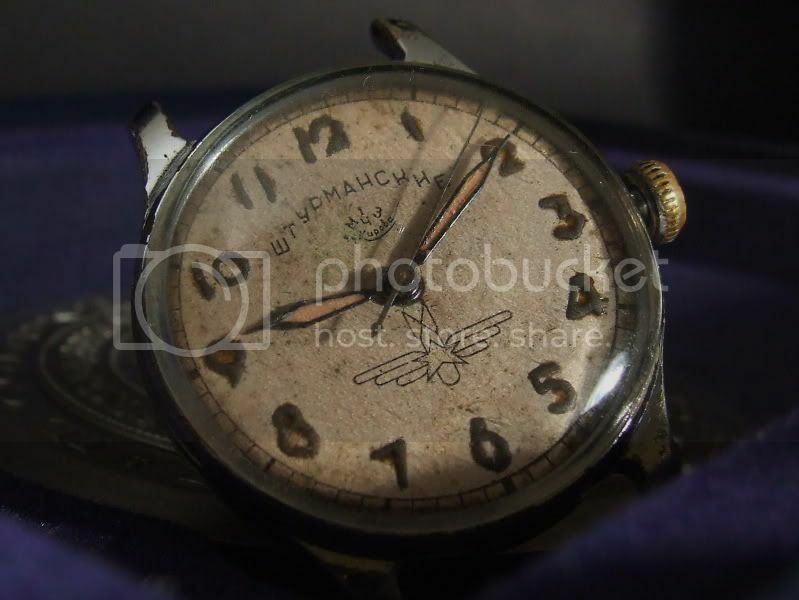 Shturmanskie watches, first the 15 jewels version and later on the 17 jewels, were given to graduating pilots of the Soviet Airforce, see watch #1 for the 15 jewels version. 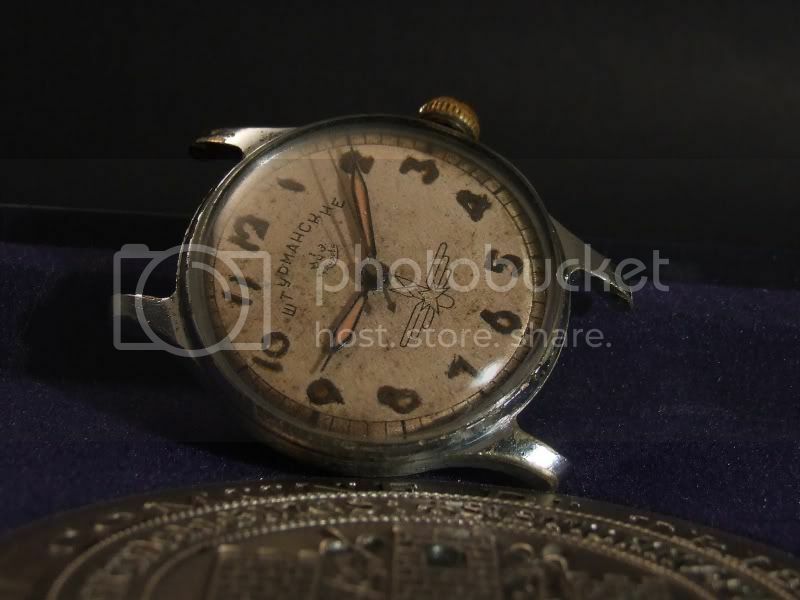 This is a historically important watch, a watch similar to this one was taken to space by Juri Gagarin in the first human orbital flight. 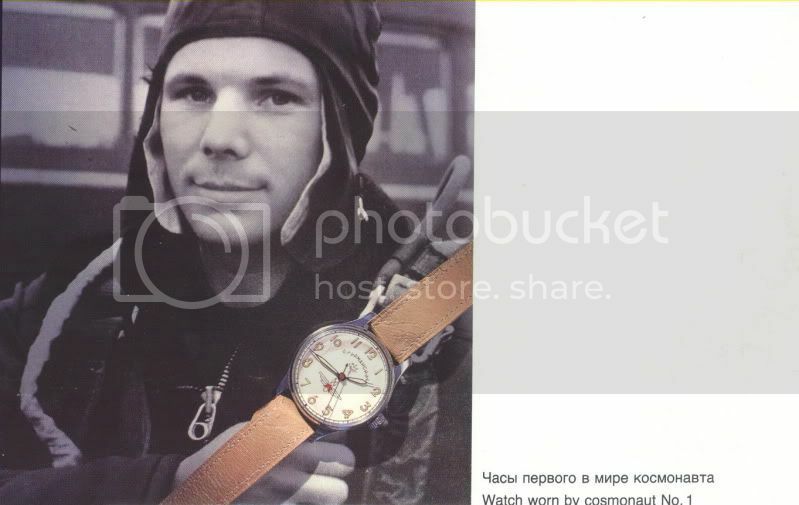 When Gagarin returned to earth the watch was taken to the 1MWF collection and he received a black Rodina as a gift. 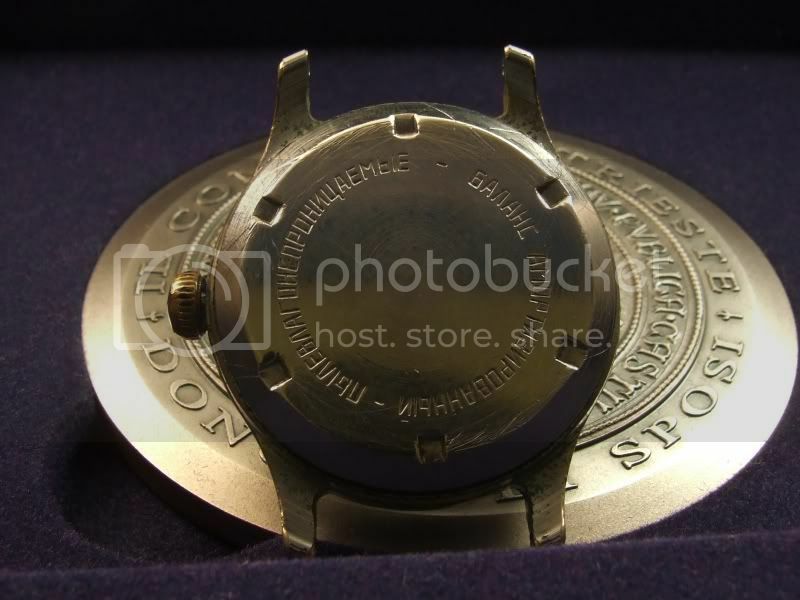 The watch was later stolen from the 1MWF and there is still some contradictory information regarding which Shturmanskie version was he wearing. In the 1MWF website there is a picture of the 15 jewels version while in a catalog there is the 17 jewels (see picture bellow). 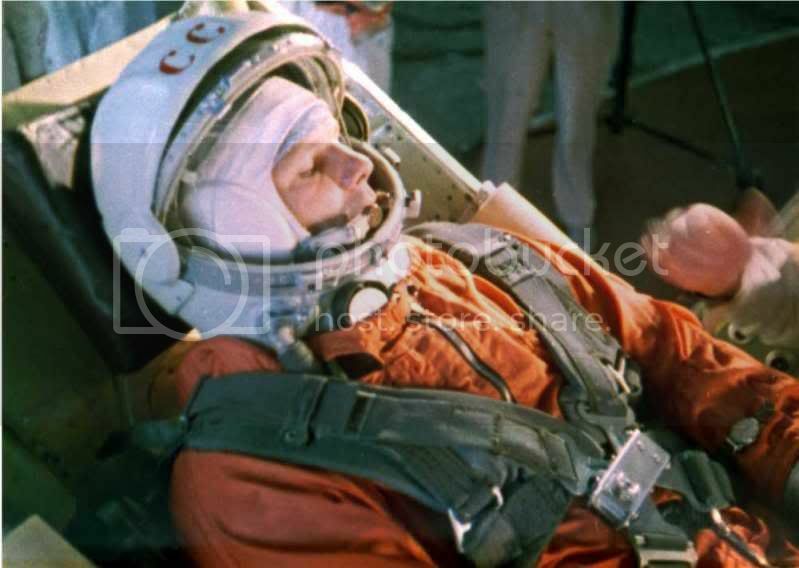 Most sources point to the 17 jewels version as the one that Gagarin wore during his historical flight. This is also is in agreement with production dates for both models and Gagarin's graduation day from pilot's school. This watch was produced by the 1MWF in the late 50ies earlier 60ies. It mounts a 17 jewels mechanism with a shock protected balance spring and hacking stop. 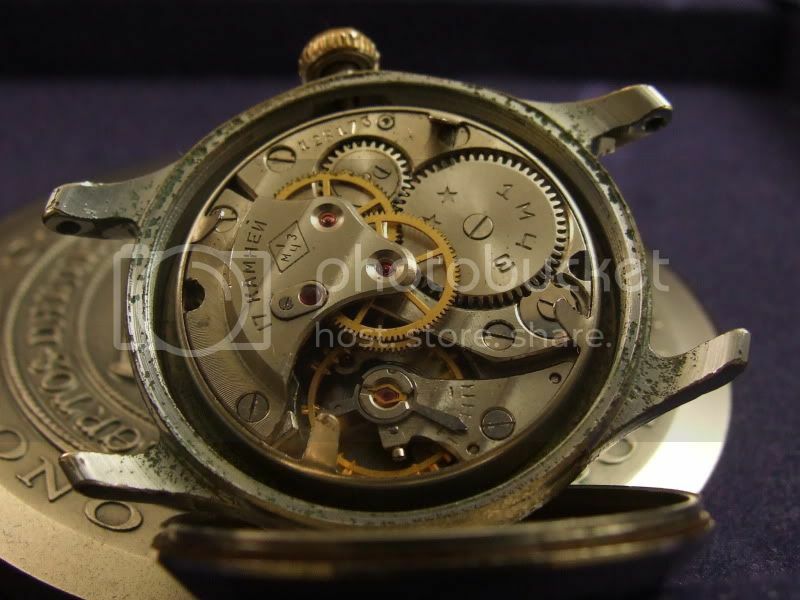 This movement was also fitted on Sportivnie watches.